Having bungy jumped, paraglided, swooped, zorbed and canyon swung, we believe nothing matches the sheer thrill and exhilaration of tandem skydiving. 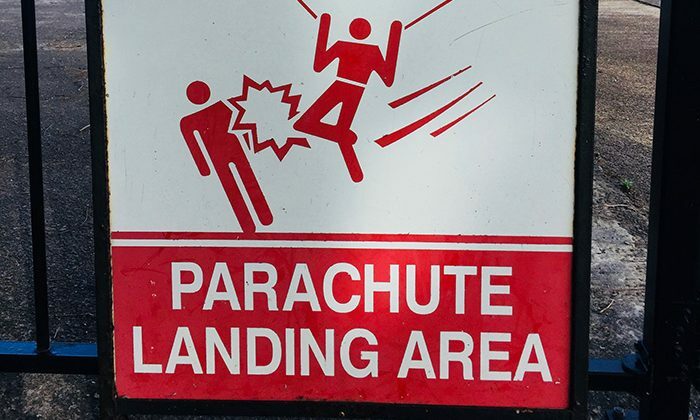 Where you choose to tick off skydiving in Australia has everything to do with location. 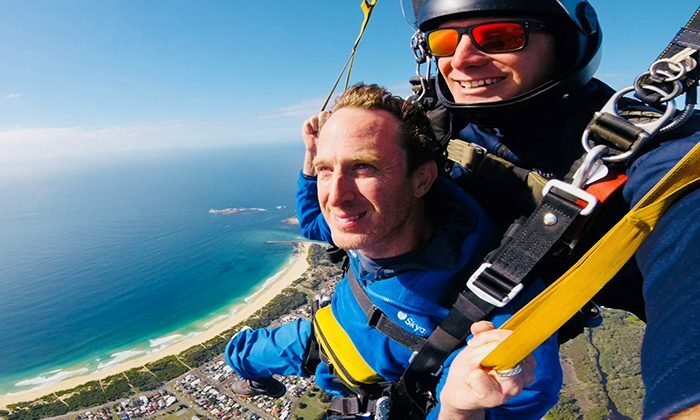 4500 metres above the stunning Lake Macquarie outside of Newcastle, you’ll be free-falling at 200 km/hr over the Tasman Sea, a channel feeding a sparkling gem-blue lake with streaks of sand banks, and a coastline that stretches on forever. After a sixty second drop, gently float down to earth under the parachute canopy, taking in the view as you swoop in for a gentle beach landing. Length of Trip : Although your actual jump will be over in minutes, plan on 2-3 hours for briefing, the flight up, and lots of jumping around after. 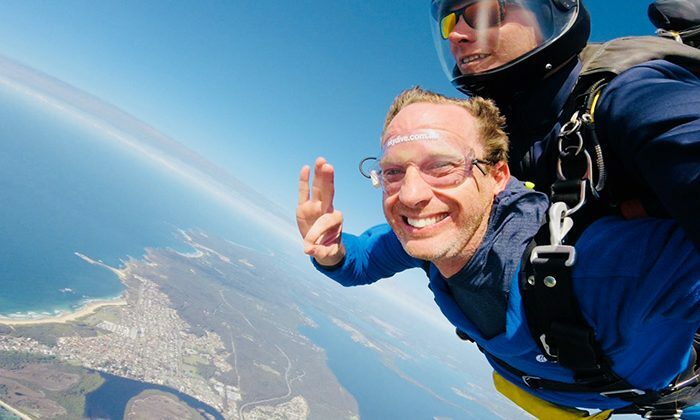 Click here for the latest prices and packages from Skydive Australia. Best time to go : When the weather is good. Skydiving is a weather dependent activity, so arrive with no time constraints. The operator will call you on the day if conditions are unfavourable. Wheelchair friendly : Call ahead if arrangements can be made. Family friendly : Must be 12 years or older to skydive. Here are some dining recommendations for the Lake Macquarie/Belmont region. There is a range of accommodation options available in the area. I drove in from the Hunter Valley, where I stayed at the fabulous Oaks Cypress Lakes Resort. The drop zone is located at Belmont Airport, surrounded by Blacksmiths Beach, Lake Entrance and Lake Macquarie - just 30 minutes south of Newcastle CBD. 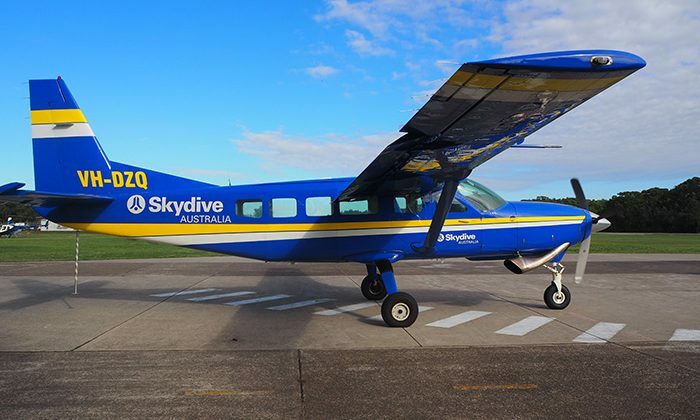 From Sydney, Skydive Newcastle is about 1.5 hours drive from the city. Type "Lake Macquarie Airport" into your GPS. 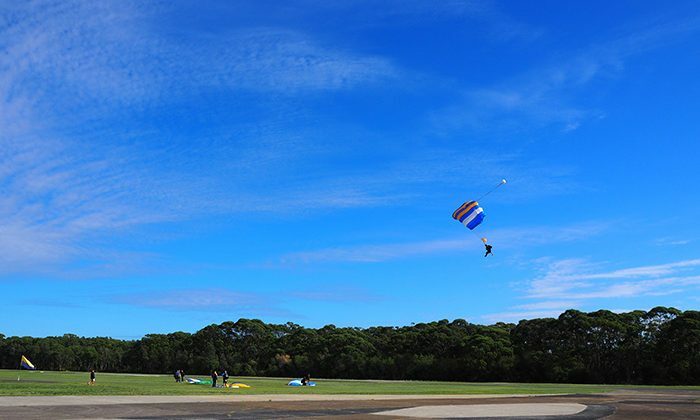 Skydive Australia also offer free return pick-ups from the Sydney CBD. Safety procedures and innovative mechanisms have all but eliminated accidents. There’s more chance you’ll get stung to death by honeybees, killed by a champagne cork, get your ticket punched by a cow or struck by lightning than die on a commercial tandem skydive. Tandem jumps let experienced professionals take care of everything, while you merely enjoy the ride. No training required, no experience necessary. Skydive Australia, a publicly traded company, hosts hundreds of jumpers every day in 18 drop zones around the country. Bundle your skydive with a bucket list flight of a lifetime. 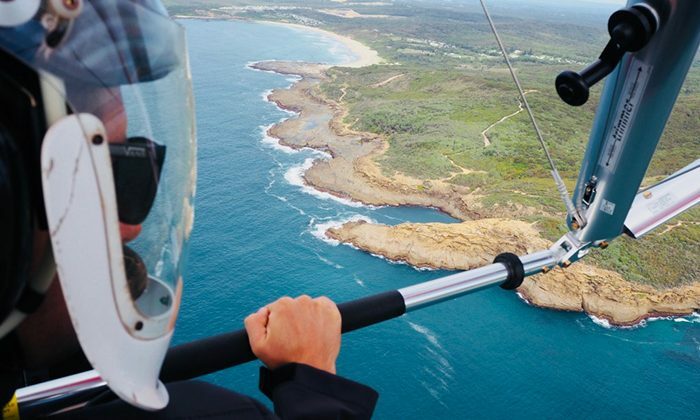 Also located at Lake Macquarie Airport, Airborne is an Australian manufacturer of world-class microlights and offer pilot training and scenic flights in microlights, gyrocopters and hang gliders too. Does skydiving belong on the Australian Bucket List?